we provide TFT Display Kit from 3.5" ~ 15" size with VGA/AV/HDMI options with an optional touch screen in resistive or capacitive. 5.6 TFT with A/D Card is highly appreciated for its versatile features including high-speed capability and crisp color display. These display panels fabricated using high-grade factor inputs and with the international quality standards. They are available in various specifications according to the needs of the clients. These products approved for precise dimensions, optimum performance, corrosion resistant nature and longer service life. These are highly demanded in the market for their excellent performance. 8.2 TFT with A/D Card is of superior quality and it has auto display facility. Our auto display cards have application in medical instruments for various announcement process and other different kinds of works. The 8.2" TFT auto display cards give higher contrast and wide performance viewpoint which ensures excellent reliability. It has high color dispersion allows to the display card efficient and perfect functionality in different applications. We supply wide range of display products to the customers. 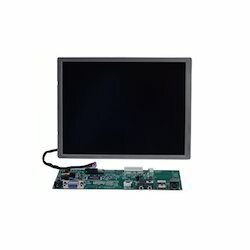 We are successfully ranked amongst the topnotch entity offering a wide range of 5.7 TFT Display Kit. This premium quality of 5.7 TFT with auto display facility is provided by us. The offered kit is sourced from reliable vendors who utilized approved materials and components for manufacturing the kit. The TFT open frame display is appreciated for its versatile features including high speed capability and crisp color display. Leveraging on our in-house production unit, we are presenting a wide assortment of 10.4 TFT Kit. Our optimum quality of 10.4 TFT with auto display card offers high speed multimedia capability, high pixel density and color saturation that enhances its application in assortment of areas. Furthermore, our professionals opt for strict quality inspection made on the TFT display to ensure flawless performance. Besides, clients can get the TFT kit from us at industry leading cost. We are successfully ranked amongst the topnotch entity offering a wide range of TFT Displays. These displays are made available with Bit MCU interface. Also, the displays are made available in 3.5, 7.5, 7, 10.4 sizes. The dot pitch and pixel rate of the displays differ according to the size and configurations. In addition, the pixel configuration is RGB vertical stripe. In order to develop such fine displays, at our vendor’s end, engineers have used quality components and approved materials during fabrication. 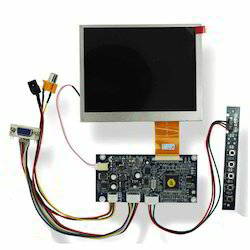 Looking for TFT Display Kit ?